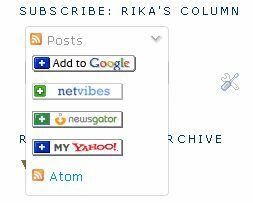 You can find RSS feeds not only on blogs, but also on flickr, on news web site such as the BCC, etc. Just look if you have the RSS icon after the URL (on the right, just before the star to bookmark) in the awesome firefox bar. Many (none-geeky) people do not use RSS and prefer having a newsletter instead sent into their mailbox. 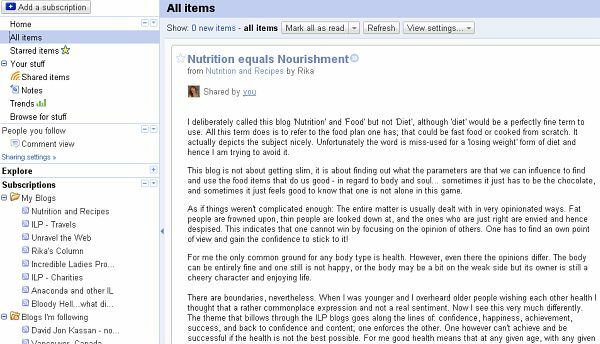 There should be an extension on your CMS to enable the subscription to a weekly newsletter generated by the system with a link to each new article of the blog. I am having even two Twitter accounts now and one is feeding update news into the ILP front page. 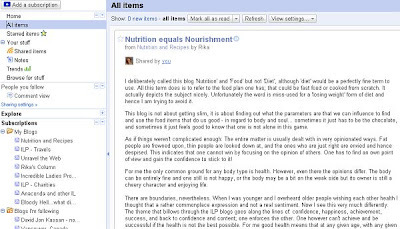 And I have Google Reader Shared where I will post the updates as well. Hope you will find your way around ILP and have fun with it! I think you were more a geek before when you were "hard-coding" IL. Blogs and twitter are easy to use in comparison. Your IL project twitter has also a RSS feed if you need (http://twitter.com/statuses/user_timeline/XXXX.rss just replace XXXX with your twitter id) as well as your Google reader shared. 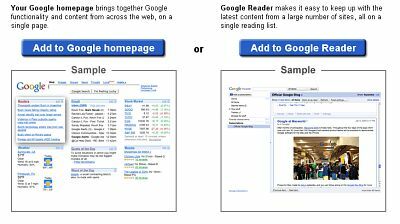 I have been using Google reader since January 2007 and twitter since April 2008; no need for a newsletter for me.